Breath of the Wild has given me a whole new appreciation for open-world games. I love the amount of freedom you have in tackling the quest (or not bothering with it) and the order in which you can tackle it. While games like Grand Theft Auto and the more recent Elder Scrolls games give you snippets of that, they tend to hold your hand throughout their main questlines, which inevitably makes the player want to rebel against the set path. Much to my surprise, ELEX is possibly more open-ended than Zelda. You’re given total freedom to explore any area of the game. If you see a distant mountain, you can travel to it. If any of the NPC’s look at you wrong, you can kill them. If you feel like giving the middle finger to the main quest, go right ahead. The game world will compensate for that lack of quest giver and allow some other option for progression. That sounds an awful lot like Morrowind (except that game would just consider the quest failed). The basic combat in ELEX works similar to Dark Souls. You have a heavy and light attack that are mapped to R1 and R2 (RB and RT). You also have a stamina meter which dictates your movements, so you can’t just wildly swing your weapons around and hope to win. 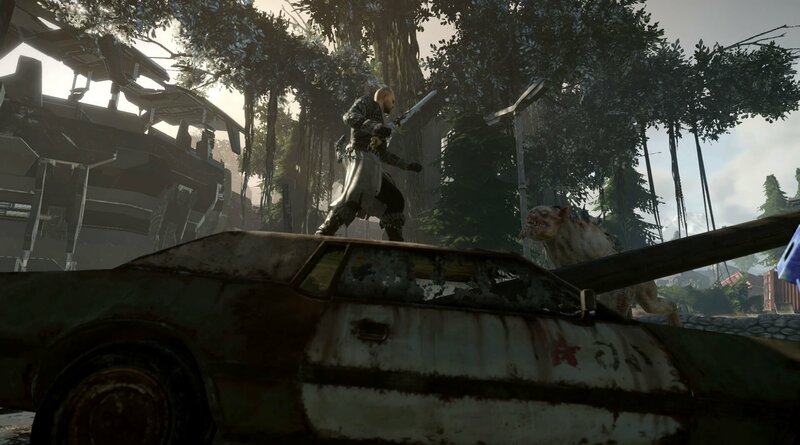 Along with melee combat comes some guns and sci-fi weapons, which then changes the game into a third-person shooter. It feels a little bit clunky, but that mostly comes from comparing it to others games. I’m so used to action-RPGs all adopting the same controls schemes that I was having a hard time pressing the proper buttons to draw my weapons. It is a bit weird how they are mapped to the d-pad and can be pulled out by pressing the corresponding direction or attack, which led me to believe that R1 was unsheathe. I was also taken back by how sprint requires you to hold in the left stick and that there is no crouch option. While you can go anywhere in the game world and basically do what you want, you won’t be sneaking up on anyone. You can dodge away from their attacks, though the game automatically locks on to enemies and is pretty hard to relinquish that lock (or change to another foe). Since the demo was set up to be about 50% of the way through the game, I had some ridiculously powerful guns at my disposal. Remembering the freedom that was explained to me, I set forth just grenading everyone I ran into. While that resulted in me dying quickly, I started to change up my approach. Instead of blindly firing into crowds of enemies, I picked them off from a distance and ran in for melee attacks when a single foe was left. I actually did pretty damn well, save for a stray shot connecting at the very end of my final encounter. I took out everyone and died in the process, but at least I wasn’t reprimanded for doing so. The best thing about ELEX is that none of your actions are limited. If you truly do hate the world, you can unleash your wrath on anyone unfortunate enough to meet you. You won’t get away without some form of punishment, but that won’t come from a text box scolding you or some convoluted and poorly implemented morality system. What happens is very much akin to The Elder Scrolls in that individual towns will put out a bounty on your head. You can pay off the bounty to atone for your crimes or you can just deal with an endless horde of bounty hunters coming for you. Its cool to see that kind of system in a game. While it may be annoying in that it doesn't allow for player empowerment, you do begin to feel that the world you’re traversing is actually alive. Most of those interactions seem to be limited to NPCs telling police about your actions or enemies running for reinforcements, but killing someone in the game world permanently removes them from it. At least if you kill them once, they won’t become a thorn in your side. 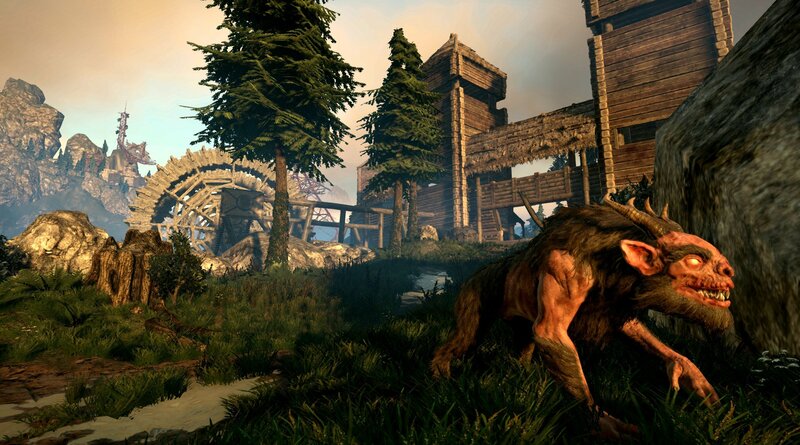 ELEX is being developed by Piranha Bytes, the guys behind Gothic and Risen. Those games aren’t exactly known for high production values and that still holds true for ELEX. There is a lot of clipping and rough animations, which can take you out of the moment. One enemy I killed basically became dead weight and I was able to pass straight through him like he didn’t exist. That also extends to the general graphical design of ELEX. I don’t mind the art, but this looks like a high-resolution PS3 game. A little ugly and dated, but functional. Those clipping issues also don’t ruin the experience, they just kind of break the sense of immersion. Then again, this is from a developer that is typically not popular with American players. 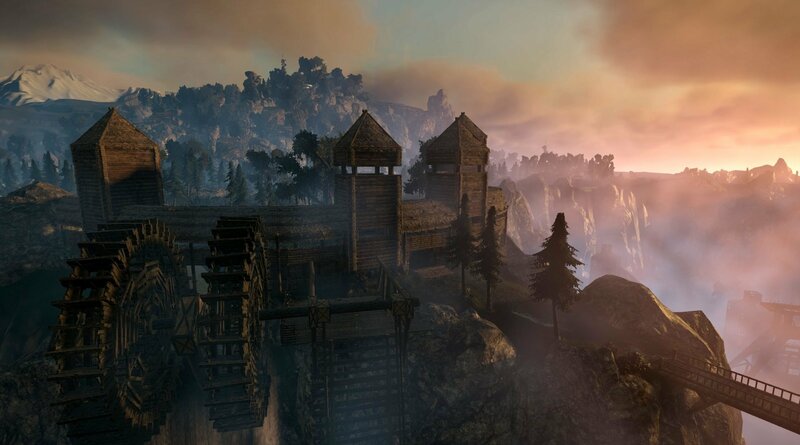 Both Gothic and Risen are big over in Europe and I get the feeling that ELEX is probably going to be the same thing. Those series have their fans and don’t appeal to everyone (me included), but that is definitely preferable to companies like Ubisoft who makes all games for every potential person. I’d rather see a developer hone in on what they want to make instead of homogenizing their games for mass appeal. 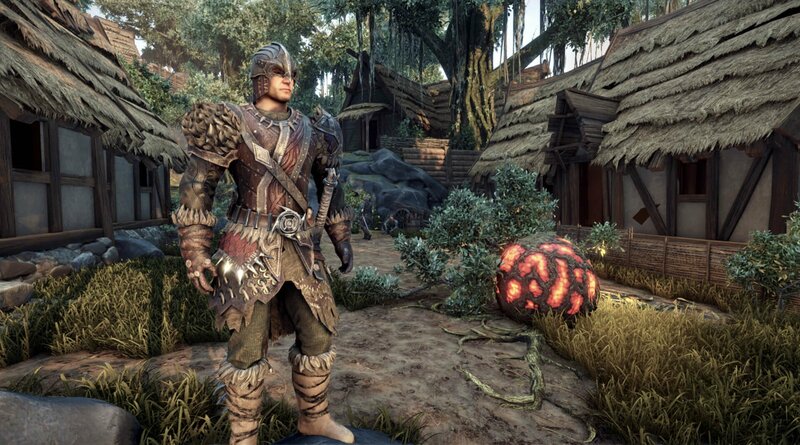 Even with all the rough edges and jankiness, I still walked away having enjoyed ELEX. My demo begin with the very promise of "you can go anywhere" and I really was able to (up to a point for demo purposes). Jetpack up a mountain, clear out the town of literally everyone, and then loot a bunch of bodies. Why not? 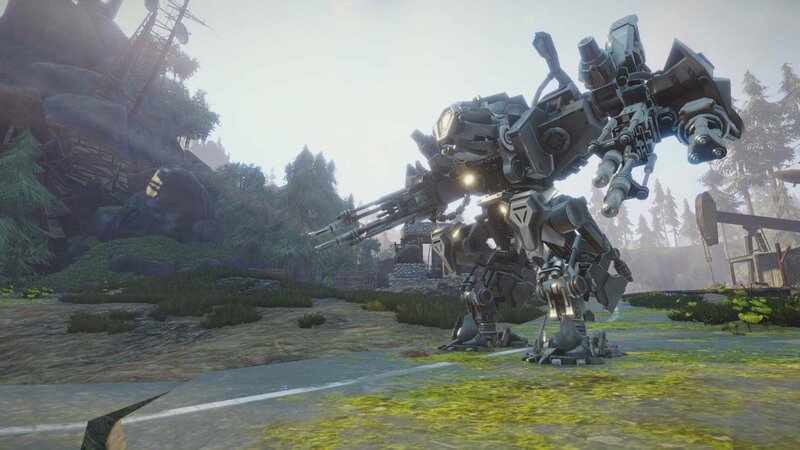 Currently ELEX will be heading to PC, PS4, and Xbox One. 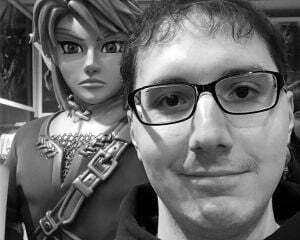 I don’t know if a Switch version is in the works, but it would be possible. From my understanding and quick chat with one of the programmers, they should be releasing the game in around six months. This may be a cool way to spend the summer, especially after having exhausted Breath of the Wild.